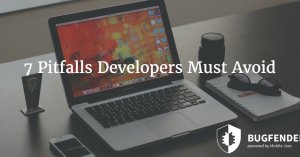 Mobile development is on the rise and thousands of new developers are joining this field every month. iOS app development is considered more beneficial because it is more mature than other options. Although Android app development is relatively newer but it offers freedom to developers in developing whatever they like. How Android has tons of advantages over iOS and other platforms from developing point of view is a whole different debate. Android app development offers diversity where developers can focus on a singular device model however Android fragmentation is considered one of the major issues associated with Android app development. Developers want to make their apps compatible with all Android devices in the world (considering the collection is quite diversified). This is a dilemma where developers either have to choose a narrowed target audience or face tough challenges to make their apps bug free on different devices. The important thing is grasping core concepts and fundamentals of this particular environment. People who already have experience and prior knowledge of programming in a different language can self-teach themselves yet for new developers it would be a challenge without any external aid. 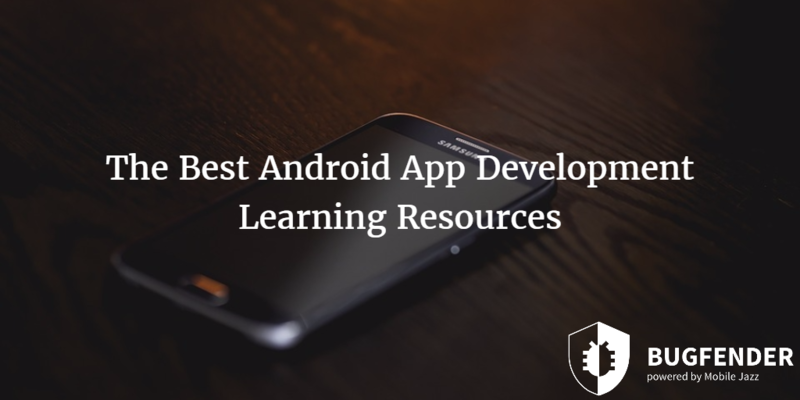 Following are some Android app development learning resources that include books, videos, YouTube channels, online courses, mobile apps and websites. Let’s talk about these briefly and see how you can launch your own Android app in next weeks. Books are the traditional and still the most popular way to achieve knowledge and excellence. Following are some popular books written on the subject of Android app development. Android Programming: The Big Nerd Ranch Guide is written by Bill Philips and Brian Hardy. Authors of this book have done tremendous job by adopting practical approach. The best thing about Android Programming: The Big Nerd Ranch Guide is its conversational style that helps developers in learning core concepts of this subject. Consider this book as a personal tutor where you can ask questions and find answers pretty easily. Android Programming: The Big Nerd Ranch Guide is specifically written for beginners and it starts with basic concepts and fundamental programming techniques. Gradually it moves forward toward more advanced concepts. Android Design Patterns: Interaction Design Solutions for Developers is written by Greg Nudelman and this book is for advanced Android app developers who already have knowledge and experience in this field. Greg is a mobile environment specialist himself and in his book he has described techniques that can help developers in delivering the best user experience to their users. This book tells developers which user interface patterns and techniques they should use and which ones they should avoid. Android Design Patterns: Interaction Design Solutions for Developers also clears some core concepts regarding Android fragmentation and help developers design apps for multiple devices. The name of this book, Android Recipes: A Problem-Solution Approach is self explanatory and it is written by Dave Smith and Jeff Friesen. This book is considered one of the best books written on this subject because of the quality of its contents and more importantly because of the live examples given with each concept. However, Android Recipes: A Problem-Solution Approach is not specifically written for novice programmers but you must have prior knowledge to understand the concepts explained in this book. For example, authors have explained basic Android architecture concepts and the difference between Android APIs. Beginning Android Games is a unique book written on the subject of Android app development as unlike most of the other books, it focuses on game development. The author of this book is Mario Zechner and if you want to become an Android game developer then Beginning Android Games is one of the best resources to start with. Beginning Android Games includes many examples and each one has source code too. The book starts with basic concepts of game development like user input, device resources and sounds. Eventually it moves towards complicated concepts like using OpenGL etc. Programming Android is written by Zigurd Mednieks, Laird Dornin, Blake Meike and Masumi Nakamura. This book is one of the most thoroughly written books on Android app developments as it is written for both; beginners and advanced developers. It explains core concepts behind Android app development as well as complicated theories of Android APIs. Novice programmers can learn Java codes from this book without any prior knowledge or experience. Programming Android is written so that new programmers can start their journey and experienced Android app developers can polish their skills and build better apps in terms of efficacy and effectiveness. Video Tutorials and YouTube Channels are a great way to get things started. Novice Android developers can learn basic concepts and fundamentals of development by watching videos and expert programmers can learn advanced techniques. Following are some popular video resources available on this subject. The New Boston’s Android Tutorials is a great source of video tutorial for learning Android app development. Unlike most of the other channels, videos on this channel are made by different people and that’s why you would notice variations in style, tone, accent and many other things. However the information and ideas presented on this channel are praised by thousands of people all over the globe. The New Boston’s Android Tutorials is mainly focused toward developers who already have some knowledge on the subject. Just like Apple’s own Swift YouTube Channel, Android Developers is run and managed by Google itself and it is the best Android learning center available online. One of the greatest features of Android Developers is its support for multiple languages. Not all of the videos are available in other languages but you can easily find Android tutorials in Japanese, Spanish and others. Android Developers YouTube Channel has to offer something to everyone, whether you are a new developer or an experienced one. Video quality is excellent and you can learn fundamentals as well as advanced and latest Android development techniques from there. Android Tutorial for Beginners is a playlist managed by SlideNerd which is a well known name in online video tutorials. As the name suggests, Android Tutorial for Beginners is more focused toward beginners and novice programmers who are just about to develop their first app. SlideNerd has thousands of videos on different subjects and they are popular for their amazing videos with solid information and easy flow. Android Development Tutorial is another YouTube Playlist that has a wide range of amazing videos related to Android app development. Interestingly, Android Development Tutorial starts the journey with the first step and there is even a video about installing Android SDK on your computer. Obviously, the contents of Android Development Tutorial are most suited for new developers who want a step by step guide. Android Online Training is specifically curated for developers who want to clear specific concepts or want to get tutorials on specific problems. Unlike most of the other sources which present lengthier videos, Android Online Training videos are 5 minute lengthy on average. You can learn concepts like installing IDE, launching your app on Google Play Store and others from this channel. Whether you are an expert programmer or just a student who wants to learn Android development on his own, you will always have questions and the best way to get answers of your queries is to join communities. Most of the time the problem you are facing is already asked by someone else and you can see the answer; otherwise you can always ask the question yourself. Stack Overflow is one of the most popular communities on this subject with millions of global users. In order to get answers, you need to post your query with your code so experts can see what kind of issue you are experiencing. Interestingly, you cannot post general questions, which is a good thing from a developer’s point of view. You are required to search that specific problem before posting it on your own because communities hate duplicate questions. Google + failed as a social media network as compared to Facebook and Twitter but it is not dead. Communities and people all over the globe use Google + to follow their favorite topics and communities; there are hundreds of Android development related communities on this social network and one of the most popular one is from Android itself. Android Community helps new developers learn the basic of this platform, intermediate developers to polish their skills and move one step ahead and professional developers to learn latest technologies, innovations and features introduced in latest versions of Android. XDA offers the largest knowledgebase available for Android lover whether developers or users and the best thing – it is totally free. Interestingly, XDA has sub-forums of almost every Android device ever releases. That means if as a developer or user you are experiencing problems with a specific device and model then you can join its own forum and get things done quickly. In some limited sense, XDA Developer Forums are quite similar to Stack Overflow. However, XDA is more suitable for Android developers who already know a thing or two about Android development and want to enter into professional developing world. Consider Android Central a smaller version of the XDA but being smaller is not necessarily a disadvantage as Android Central offers a much more focused collection of contents regarding Android development. Android Central is one of the best and fastest ways to get feedback on your newly created app or game. There are two different sections; Developer Beta Testing and Developer Spotlight. If you just have started Android development then Android Central is a great place to start. Although many people prefer other methods like books and tutorials but mobile apps and online courses allow people to learn things in a managed way. They also make it easier to keep track of learning. 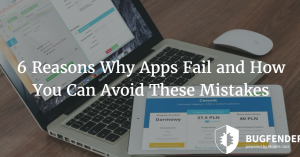 Let’s talk about some popular mobile apps and online courses websites. Udemy is a well known online course website and app; unlike many others, it does not have monthly or annual subscriptions that make it easier for learners to choose the course they want to take. Some of the popular courses are even available for free. Free courses related to Android development are “Learn Android Programming from Scratch” and “Android App Development by Example”. These courses consist of 22 and 19 lectures respectively. You can find premium courses too, make sure you read the description before taking a course to ensure that particular course offers things you want to learn. Lynda is quite similar to Udemy except it has annual and monthly subscriptions instead of per course price. Lynda is more suitable for advanced and professional programmers instead of beginners because of the nature and quality of its contents. Lynda offers two different subscriptions; the basic plan is available for $25 per month and gives you access to unlimited videos. The premium plan costs $37 per month and gives you access to project files too. How Bugfender Can Help You Become a Better Android App Developer? Whether you are a novice programmer who is just learning how to write his first Android app or an experienced one with expertise in this field, developing bug-free apps is everyone’s dream. There are many ways to debug your apps; for example, you can test it before the launch on multiple devices but Android fragmentation is a huge problem. You cannot possibly test it on all models and devices. You can use crash reporting tools too but they only report total crashes but ignore abnormal behavior. 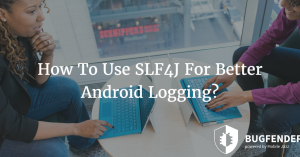 Another way is to adopt innovative solutions like Bugfender so you can have remote access to logs files so see which parts of the app are causing the trouble. Bugfender gives you insights on all the processes running in the app so you can make necessary changes. It is always better to discover bugs before your users do. as_disney Created with Sketch. as_menshealth Created with Sketch. as_slack Created with Sketch. as_cantina Created with Sketch. as_taxify Created with Sketch. as_aimail Created with Sketch.